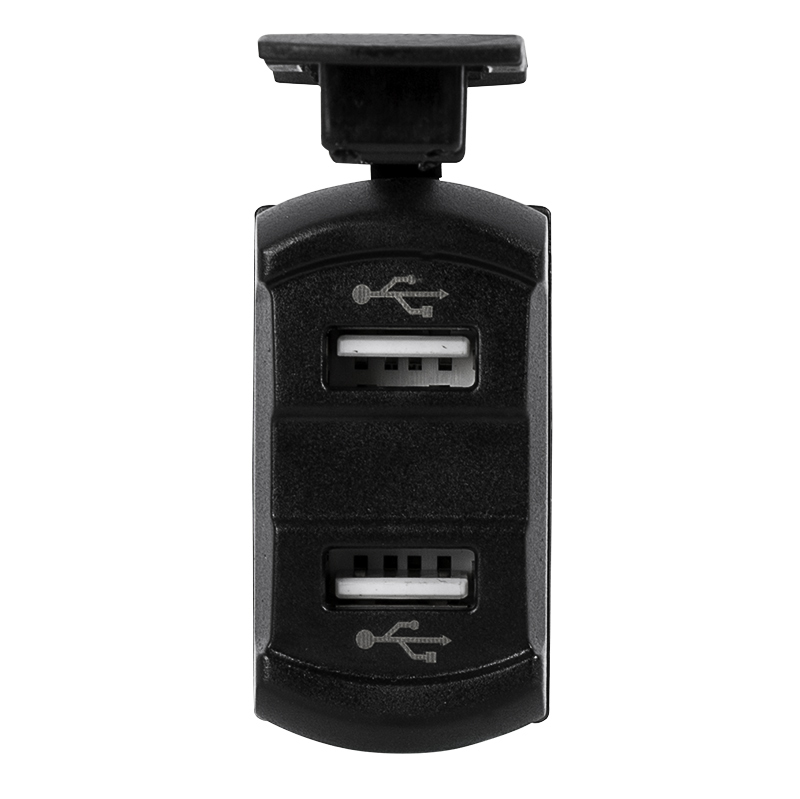 This Dual USB Charging Port Adapter lets you charge your cell phone, tablet, iPod, or other device and is designed to fit in rectangular switch panel openings. 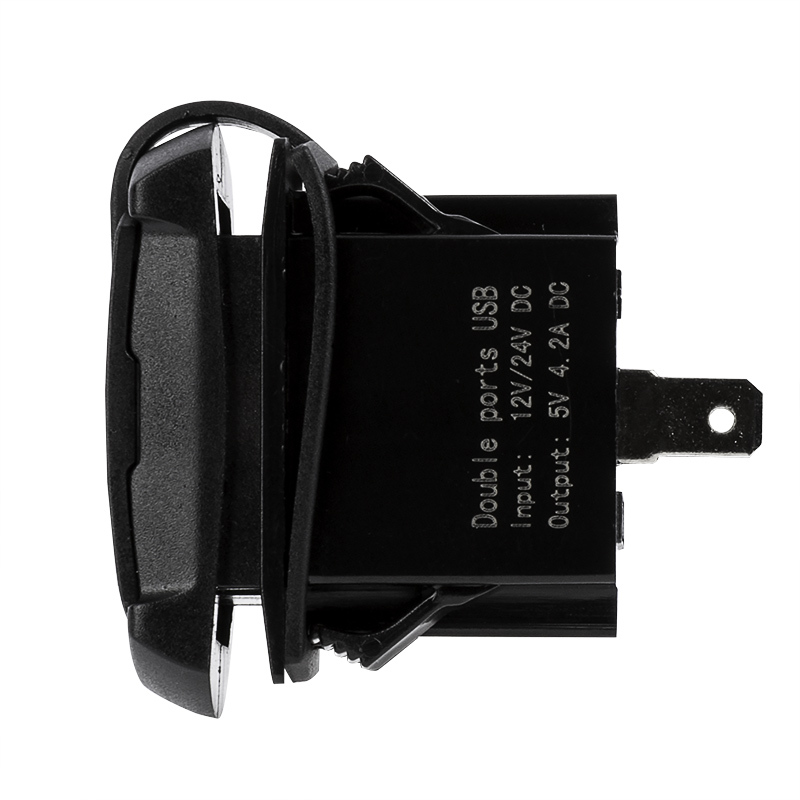 The port adapter has a built-in digital voltmeter to show vehicle battery voltage (8-24V display range) and ammeter to show amperage drawn from each USB device. 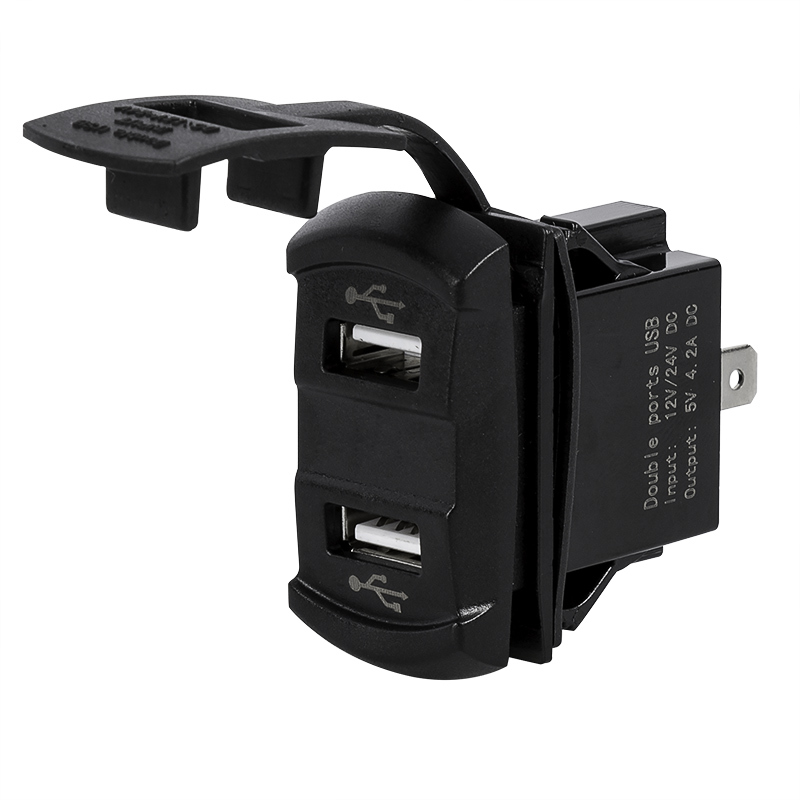 The 12-24 VDC USB charger has a total output of 4.2 amps (2.1 amps from each port) at 5 volts. It has (2) 1/4" male contact terminals to be used with 1/4" female push-on connectors. 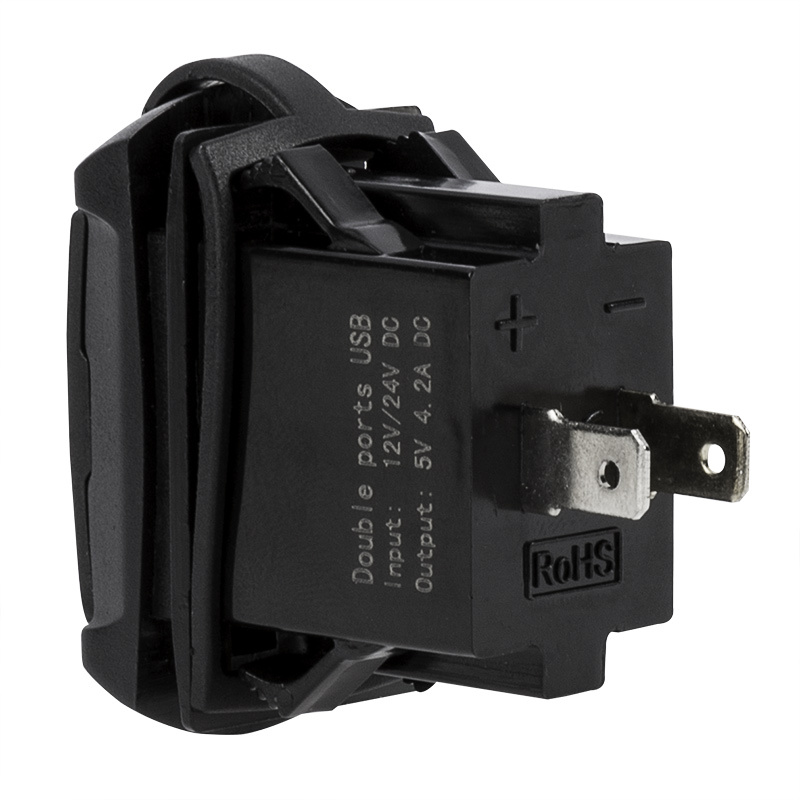 The sealed, watertight USB rocker switch adapter easily installs in industry standard panel cutouts with the included rubber gasket. Modular switch brackets are available for single-switch mounting in a 0.83" x 1.45" hole.